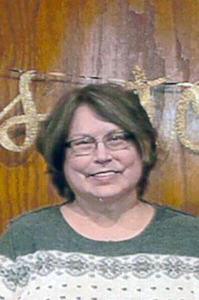 Teresa Drennon (nee Miller), 60, of West Des Moines, went to be with her Lord on Friday, January 18, 2019 at Methodist Medical Center in Des Moines. Funeral services will be held at 11:00 a.m. on Saturday, January 26, 2019 at St. Paul’s Lutheran Church with Reverends Mark Eichler and Lyle Hansen officiating. Burial will follow the services at Graceland Cemetery. Visitation will be held from 4:30 p.m. to 6:30 p.m. on Friday, January 25, 2019 at Foster Funeral and Cremation Center. Teresa Ann Drennon, daughter of Kenneth Wayne and Della Marie (Breitenkamp) Miller, was born January 27, 1958 in Webster City. She graduated from Ames High School in 1976, and received her teaching degree in 1980 from Concordia University in Seward, Nebraska. Teresa taught at Lutheran parochial schools in Jacksonville, IL, Boca Raton, FL, and San Antonio, TX, and later at San Antonio public schools. She is survived by her children, Elizabeth Drennon of San Antonio, TX, Kevin Drennon of Ottumwa; step-daughter, Heather (Billy) Drennon-Williams of Germany; parents, Kenneth and Della Marie Miller of Webster City; siblings, Anita Stevenson of Ankeny, Mark (Laura) Miller of Sugarland, TX, Rhonda (John) Nielsen of Lake Mills; grandchildren Aiden, Jackson and Everly Williams; nieces and nephews Laura (Stevenson) James, Michael Stevenson, Kayla Stevenson, Erica Stevenson, Gina (Gutierrez Miller) Zarate, Mark Miller Jr., Matthew Miller, James Nielsen, Marie Nielsen, and Raymond Nielsen, great-nieces Avery, Dylan, and Haven James, and many extended family members. Teresa loved and cherished being a mother; her children were the light and joy of her life. She also touched the lives of so many children as a school teacher. Teresa enjoyed gardening and needlework. She had a great laugh and couldn’t play enough of the card game Canasta in this life. She always convinced family members to play at every family gathering. Teresa will be loved and missed by many, many people. Teresa was a member of Shepherd of the Valley Lutheran Church in West Des Moines. She was preceded in death by all four of her grandparents and her brother-in-law, Bill Stevenson. In lieu of flowers, the family requests you donate to Autism Speaks (www.autismspeaks.org) or the American Cancer Society (www.cancer.org).